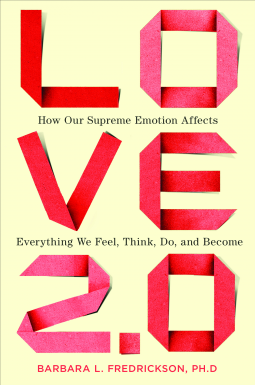 Since today is Valentine's Day, I thought you might enjoy some fun facts about love and positive psychology researcher, Barbara L. Fredrickson's new book,Love 2.0: How Our Supreme Emotion Affects Everything We Feel, Think, Do, and Become , is loaded with never-before-heard-of facts about love, romance, health and success. So pull up a chair, grab a loved one and have fun! Okay first, this is science, so we need to define our terms. But rest assured, these are fun terms! Barbara is the researcher most associated with the Positivity Ratio (Quick: go measure yours here. Then come right back for more cool stuff.) Basically, the Positivity Ratio says if your positive thoughts and feelings (a.k.a. positivity) out number your negative thoughts and feelings (a.k.a. negativity) by a ratio of at least 3 to 1, you'll likely flourish, rather than languish. The upward limit is around 11 to 1. Poliannas don't flourish. Why do folks with strong Positivity Ratios thrive? Because, according to Fredrickson's research, positivity broadens your perspective so you notice more opportunities (Funny, Thomas Leonard said 15 years ago that's how Attraction works! I'd like to suggest that positivity is highly attractive). Positivity also helps you build resources such as, values, strengths and skills, that assist you even in tough times, which creates longer-term resiliency. That's her "Broaden and Build" theory. Barbara has recently shifted her research to shared positivity, which she terms, "Positivity Resonance" or "Love 2.0". Love in the English language is an extremely broad term. To measure it, she had to define love very narrowly. Keep that in mind, while reading the fun facts about Love 2.0, below. Her definition for positivity resonance is limited to positivity that is shared by people face-to-face or in physical contact. "...love, and its absence, fundamentally alters the biochemicals in which your body is steeped." Love is a momentary state that can pass between strangers who share a mutually positive experience together. Love is a skill that can be learned which impacts the expression of your genes. "The sheer complexity of love's biology is reason enough for awe." When you learn to prioritize love, you actually get more value from it and become resilient faster. Love literally changes your mind and enables you to see others wholeheartedly, helping you transcend your usual ego perspective. Love is the arising of three events: shared positive emotions, sychrony between you and another's biochemistry and behavior, motive to invest in each other's well-being. Other positivity emotions are not mirrored back in this way. Love reverberates between people and belongs to all parties involved. Safety is a precondition for love. People who suffer from anxiety, depression, loneliness and low self-esteem; have a limited ability to experience love 2.0. Eye contact is a potent trigger for positivity resonance. You can experience some of the positive effects of love 2.0 while alone, when thinking about a loved one for instance, but the effects are diminished. Love impacts your body on the cellular, even molecular level. Love physically impacts your brain's development, causing you to experience more positivity and less anxiety. 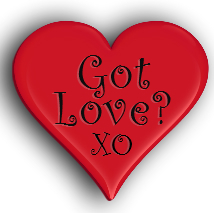 Love 2.0 triggers cascades or oxytocin, sometimes called, "the love hormone". Oxytocin is the lead chemical in the "calm and connect" function; it literally reduces stress. Oxytocin appears to make people more intuitive about others. Love increases "vagal tone", which your doctor can measure to predict the likelihood of your having a heart attack. People with higher vagal tone regulate glucose levels and inflammation, as common denominator in many diseases, including diabetes, heart disease and cancer. Vagal tone can be improved with training with positivity resonance. "In the very moment that you experience positivity resonance, your brain syncs up with the other person's brain." The effects of love can be carried to you by a person's voice. "Brain coupling" occurs between people who are experiencing positivity resonance and in some cases, you begin to anticipate the other person's thoughts, feelings and words, rather than just react to them. The causal arrow runs in both directions at once and drives self-sustaining trajectories of growth. Well that's just 25 fun facts. I highly recommend you read the whole book, maybe with a loved one! Or just put some of these 25 facts to work in your life to enjoy greater health, resilience, flourishing, and love. May I call you Mitt? It's more comfortable for me if we interact on a first name basis. I was pleased and honored to receive a request yesterday to coach you. Given that your final debate with Barack Obama is tonight, we do not have much time to build our relationship prior to the event. However, I would like our connection to deepen over time as that would allow us to work most effectively together. As your coach also knowing you grew up around politics with your dad becoming Governor of Michigan, I think it is important for you to understand something. My mother was the political one, not me. Unlike you, I much prefer remaining on the sidelines. How proud your own father would have been to see you running this race! 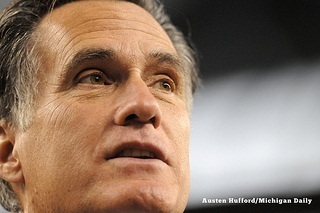 Mitt, at this point the presidential race is way too close to call. Your campaign certainly has an eye on the latest polling data. As we've seen in recent elections, every single vote counts, and one can not take anything for granted. In today's world, information is available instantaneously around the globe. Given the dynamics of political systems, changing moment to moment under the influence of a multitude of complex, interacting factors, plenty of opportunity still exists that I believe can make a difference in your favor. I'd like to ask you a couple of questions. After all, that is what coaches do best! What do you really think you most need as you prepare for tonight's debate? Whose vote might you gain by showing your true colors and saying what is in your heart instead of sticking to those talking points your advisers have given you? Remember, it's only me; what you say here remains strictly confidential. I really want to know who you are, what you value most, and what drives you to become the next President of the United States of America. Why do you deserve my vote on November 6? I have an inkling. Would you like me to share it? The words GRACE under PRESSURE are coming to me. Given the fact that you have not yet effectively convinced women to elect you, perhaps a strong, independent-minded, intelligent female leader with her own set of political accomplishments could serve as a perfect role model for you. What do you think, Mitt? Are you willing to give it a try? By the way, the weekend Wall Street Journal summarized the gender gap nicely. Why are you even with Obama among men in the "Monied 'Burbs" but lagging 10 points behind with women there? Given that you need some swing states to go your way, this seems like a really important gap, especially since I'm one of these women. What's possible while there's still time to influence suburban women who tend to be wealthier and more highly educated? Perhaps my mother's example can provide some inspiration you might use to convince potential voters to trust you when they head to the polls on Election Day. Mary Jo instinctively knew when to speak up and when it was best to keep quiet even if it meant she had to bite her tongue because a larger issue really was more important. She also fought to win. While undergoing chemotherapy to keep an extremely aggressive cancer under control, she served as the Illinois Women for McCain Campaign Chairman as well as a member of the McCain National Hispanic Outreach Team. Throughout her life, she faced adversity head on and always remained victorious in spirit. 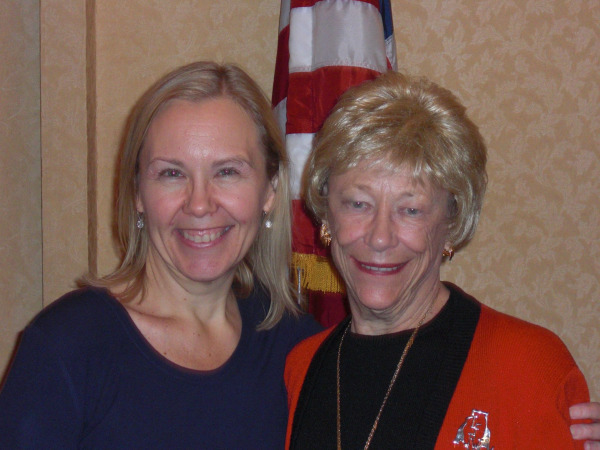 She was adamant about bringing women of diverse backgrounds into the Republican Party, encouraging and preparing them to run for elected office. Many times she chose to rise above challenge to defeat the odds, even turning some adversaries into her biggest supporters. If she did it, so can you. Let's go, Mitt! A committed leader devoted to help steer the future direction of the coaching profession, Dr. Kristi Arndt is Vice President of the International Association of Coaching (IAC). Kristi integrates extensive knowledge of the Human Design System to guide her clients according to life strategies that are correct for them. A lifelong learner and agent of change, she has fifteen years of professional experience in secondary and higher education settings including roles as a university learning center director and faculty development coordinator at a veterinary school. Kristi is a Master Certified Coach with the IAC and a Board Certified Coach through the Center for Credentialing and Education who earned PhD, EdM, and DVM degrees from the University of Illinois at Urbana-Champaign. To get better acquainted, please book an appointment with her at www.CoachWithKristi.com. Yesterday, I received a letter in the mail congratulating me on my new BCC (Board Certified Coach) credential from CCE (Center for Credentialing and Education). It was nice to get, but no surprise. CCE, a non-profit which has been certifying a variety of counselors for years, recently stepped into the realm of business, executive and life coach certification, with this very impressive-sounding new credential. But any executive, business or life coach who was previously certified by the ICF or IAC and who could demonstrate that they already have coach-specific training, got grandfathered into the BCC for $100. The only catch was that we had to take a norming exam to help CCE establish appropriate exam questions for future coaches who test for the BCC. Life coach certifications from independant not-for-profit certifiers are generally the most respected in coaching, because with no regulation, coach training schools (at least the ones that are disreputable) sometimes have very low coach certification requirements (or no requirements other than a fee). I think competition between not-for-profit certifiers is good for coaches, their clients and the coaching industry, because it forces the certifiers to listen to us and upgrade their services in order to stay relevant. So a new not-for-profit coach certifier may be positive for the profession. At this stage of the game, no single life coach certification organization is the recognized leader, worldwide. The ICF claims this distinction, but most coaches do not agree, especially in fast-growth markets, like Asia. So it may be a good idea to be certified by more than one not-for-profit life-coach certification organization. As one of my colleagues, who is certified by both the IAC and ICF, recently commented, a certification from an organization that mainly certifies counselors may further confuse the public about the difference between coaching, therapy and counseling. Appearances to the contrary, business and life coaching are completely different from either counseling or psychotherapy. Coaching is based on different paradigms and does not target clients who are mentally ill or in crisis. A decade or so ago, when I became a coach, the profession of coaching was under attack by psychology professionals, who claimed we were practicing therapy without a license. Then a landmark lawsuit in the state of Colorado established life coaching as a separate profession from psychotherapy. Furthermore, the reason coaching is still not legally regulated anywhere is because coaches don't work with vulnerable populations. Since that landmark case, therapists and counselors have jumped on the coaching bandwagon in large numbers, because they aren't hamstrung by regulations, they've seen how effective coaching can be and because they can charge more for it. As another coaching colleague commented: The confusion between coaching and therapy isn't because coaches are practicing bad therapy; it's because too many therapists are practicing bad coaching. One of the reasons I decided to get the BCC anyway, is so I can watch from the inside how CCE's influence plays out and can speak up as needed. If CCE does its job well, it could actually cut down on the confusion and erroneous assumptions that counselors and therapists sometimes make when they hang out their Life Coach shingles. CCE bases the BCC credential solely on college degrees, coach-specific training and passage of a multiple-choice test. Reputable life coach certifications always require demonstration of coaching skills. Why? Because unlike virtually any other profession, including counseling and psychotherapy, efficacy in business and life coaching is not based on expert knowledge, but on the skill of assisting coaching clients to leverage their own knowledge, thoughts, actions, gifts, etc. In other words, coaching is a skill set, not a knowledge base. A degree has little or nothing to do with competency in coaching. Coach training is a very good thing, but doesn't automatically ensure a skilled coach. And multiple-choice tests measure knowledge, not coaching skills. To get my stamp of approval, CCE needs to add an oral test to their certification requirements. CCE claims its multiple-choice test is the first scientifically-based measurement of coaching knowledge, but is it really? The 'science' is based on the answers to test questions that coaches who are certified by the 'less scientific' IAC and ICF gave on BCC norming tests. In other words, it's piggy-backing on knowledge collected by thousands of non-science-based coaches and calling that scientific. In any case, one of the reasons coaching has rocketed to the forefront of human development is because coaches have been free to mix findings from neuroscience and positive psychology with ancient wisdom traditions, plus their own insights and intuition, to create new approaches to human growth. Science is good, but results are what matter. CCE claims to be the first certifier of coaches that is itself 'accredited'. That's good, but it may not mean what you think. Usually, when we talk of accreditation in education, what we're referring to is the 'gold standard' in accreditation, which in the United States (which influences education around the world), means that your educational institution is accredited by a not-for-profit regional accrediting agency that is in turn, approved by the U.S. Department of Education. CCE is not accredited by such an agency. I tried to trace its accreditation back to the USDE, but only got as far back as an agency that accredits engineers (not exactly related to coaching). To my knowledge, no not-for-profit coach certifier, nor educator of coaches, possesses the gold standard in accreditation. That doesn't mean they aren't good, it just means they don't have the ultimate stamp of approval in education. (Beware though, of phony 'associations' that are invented by un-scrupulous 'coaching schools' or more-aptly, certification mills, just so they can claim to be 'accredited' by somebody.) CCE's accreditation doesn't make it a better source of life coach certification. In fact, they may not understand the profession of coaching as well as either the ICF or IAC. There has been some suggestion (unconfirmed) that the CCE may require its Board Certified Coaches to administer a psychological profile that measures the mental health of new coaching clients, in order to refer them out to psychotherapists. This would be no more appropriate than requiring Certified Financial Planners to test the mental health of their clients (after all, behavioral economics is the latest hot specialty for therapists), or requiring bartenders to test their customers for alcoholism (shouldn't some of those barflies be in rehab?). I know many psychologists believe 90 - 100% of all people are at least neurotic and could benefit from therapy, but coaches aren't in the mental health business, are untrained in the area of diagnosis and in many locations it would actually be illegal for an untrained professional to try to diagnose a mental illness. What coaches are responsible for is helping their clients reach the clients' desired results. If coaching isn't effective in reaching those results and the coach suspects psychotherapy could help, they can best serve their clients by sharing that observation and declining to waste the clients' money by continuing the coaching. But coaches testing for psychopathology? That won't serve coaching clients (but might serve counselors and therapists), because the real test of whether coaching will 'work' for a client is not the client's diagnosis, but whether or not the client is ready to take full responsibility for his/her own life. If it comes between keeping my BCC or succumbing to a requirement to administer psychological tests, I may give up the credential and I'm sure I'm not alone. But I am so far taking a 'wait and see' attitude towards this. CCE's ethical standards for BCCs are more appropriate for counselors and therapists than for life coaches. That's not automatically bad, but suggests that CCE itself, is confused about the differences between counseling and coaching. For well-written and appropriate ethical standards for coaches, view the ICF's ethical standards. The BCC hasn't yet stood the test of time. Thus far, the Board Certified Coach credential is not widely recognized, nor is it the the gold standard in coaching. At this writing, Master Certified Coach credentials from the ICF and IAC share that distinction. For the time being, I would recommend the BCC only as a provisional certification, on the level of the ICF's ACC (Associate Credentialed Coach), that a new coach might want, while they work toward a more recognized coach certification. What do you think? Share your comments and concerns about the new Board Certified Coach credential in the comments area below.